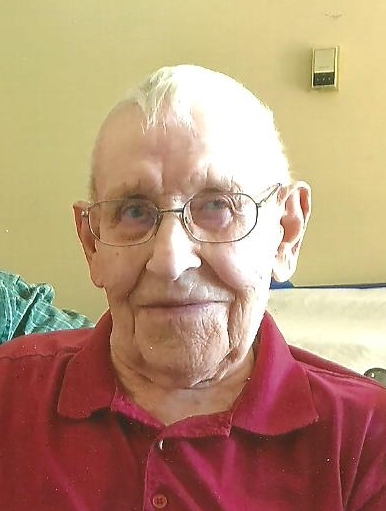 Wahlstrom, Clifford Ejnar- son of the late Joseph and Augusta Wahlstrom, died peacefully on Jan. 12th, 2019, at the age of 96. Clifford was born on the family homestead in Stockholm, Saskatchewan on Jan. 26th, 1922, and lived most of his life on the family farm, retiring to Esterhazy in 1992. Clifford loved living on the family farm, working with horses, playing ball, being involved in community endeavours, and spending time with his family at church and community events. His early childhood in the Swedish community of New Stockholm provided many entertaining stories around the family dining room table. As a young man, he worked as a hired hand on farms in Kipling, and worked in construction on the Hope-Princeton highway in B.C., eventually finding his way back to a farming partnership with brother Harry. Their hard work clearing land and building a successful farm was helped by an outstanding marriage to young Elsie Stromgren in 1958. Together Clifford and Elsie shared much joy and happiness with their family of four children, building a community with their Stockholm friends and neighbors, and church community in Esterhazy, where they were founding members and active for life. Clifford and Elsie shared a blessed life together and were delighted to be able to visit Sweden in 1974, along with many trips within Canada and the United States to visit family and friends. Clifford is survived by his wife of 60 years, Elsie (Stromgren), sons Donald, Brent (Wanda), Marvin (Laura), daughter Lynette (William), (Susan Oakley), grandchildren Colin (Teresa), Ben (Connie), Kori (Mike), Caylyn (Ryan), David (Jenna), Hannah, Tabitha, Josiah, Noah, Shammah, Araunah, Bryce, Jordan (Samantha), Kristina (Hunter), Maclean, eleven great-grandchildren, brother-in-law Don Casselman and many nieces and nephews. He is pre-deceased by siblings Harry, Aileen (Bill), Delphine (Vergil), and sister-in-law Muriel. The family wishes to extend a special thank-you to the Staff of Aspen Bluffs Villa, Pastor Robert Moss, and the Congregation of Esterhazy Baptist Church.